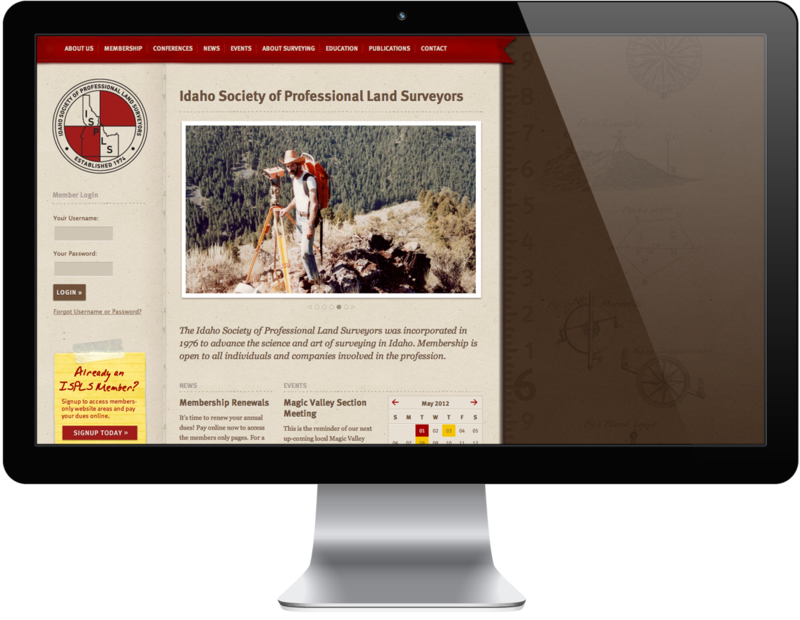 The Idaho Society of Professional Land Surveyors (ISPLS) needed a new site. 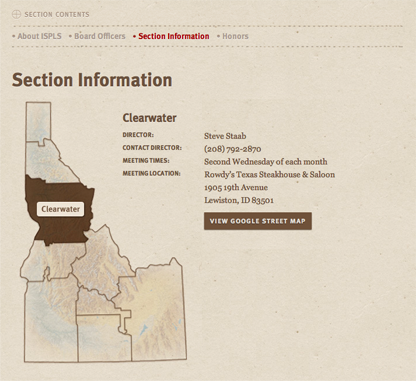 The non-profit organization covers a wide expanse, the whole state of Idaho (83,574 sq miles! ), and they wanted to harness the power of technology to bring their members together. ISPLS approached Creative Soapbox to create a public-facing area of their site where visitors can learn about the organization and about surveying and a private area where members can interact and access members only documents. We chose ExpressionEngine to power the site because we knew the site's functionality would heavily depend on member management. Solspace's User module was a must. 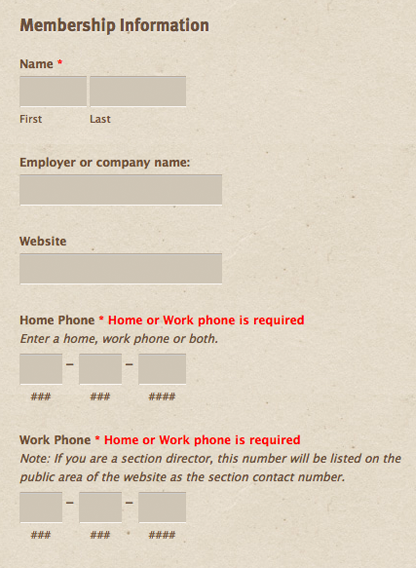 We used Safecracker to create a form for the Section Directors and Section Editors to update their section's pages. This easily allow them to upload meeting documents and add images to their page. Since the budget was tight, we installed the Discussion Forum with the Scaffold skin and with only minimal modifications, they had a clean, usable forum. 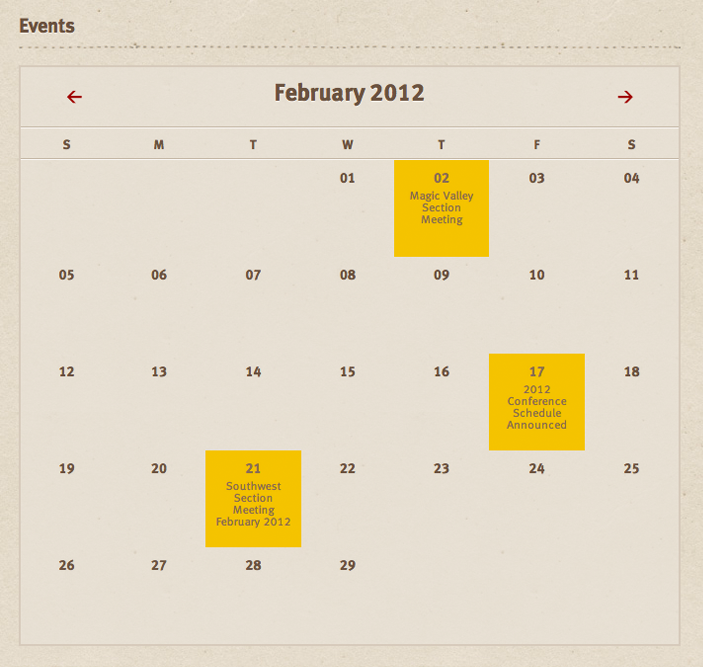 We used Simple Commerce to power the membership dues payments and conference ticket purchases. Playa and CE Image were used to associate entries in the Page Image channel to other page channels and crop them to size.